This pin deflects the weight chord from piling on top of itself as the drum is wound. 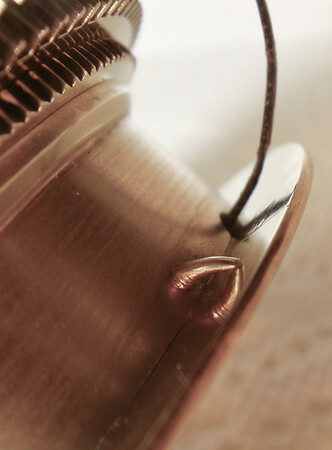 Sometimes the pin does not fit as well as this one, leaving a gap through which the weight chord can fall, or snagging the chord - so that the chord can stack on itself as the drum is wound. This shot also gives a great view of the manitaining power gear.